I am Treesa Mclean, a Licensed Midwife and the Director of Public Affairs. My mother Donna Martin was a single parent, to my sister Mary and I who she raised alone. She worked, went to community college and eventually won a place in the Teacher Corp program, going to the University of the Pacific and graduating with honors. She did this working 15 hours a week, doing community volunteering, and taking care of Mary and me. She passed away in May. Once she graduated she sought a position as a Head Start teacher. There she mentored many families and worked with families of every background; children who needed lots of support, and kids that did their own thing. My mom advocated for her students and their families. She always honored the traditions and cultures of her students. She taught me to say what I think, to value fairness and equity. She gave me strength by being strong. She was not a perfect person, she had struggles and things were really hard. But she loved me, loved my sister and loved seeing children and their families find their own paths. She mentored many. The best way I can honor my mother is to support another person, another single parent along their journey and to mentor them where I can. 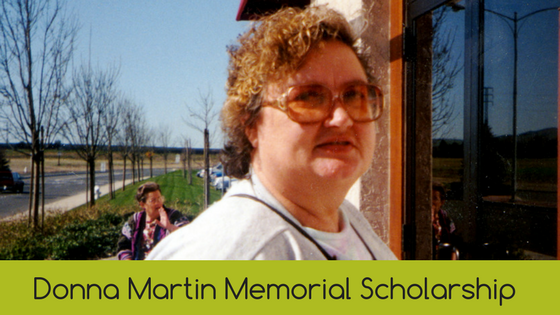 In her memory I am offering a scholarship to the MANACAM17 conference. It will include conference registration for student, and three nights of shared hotel accommodation. It DOES NOT include financial assistance with airfare, or travel. It DOES NOT include additional expenses such as meals, except those included in the registration, or room service. This scholarship is really designed for single parents who are struggling to make midwifery a reality for themselves. Please do not apply for this opportunity if you have the means to attend the conference without it, or if you have other sources of support that will allow you to attend. Please fill out the online application here. Each application will be read by a team of three midwives, including one single parent and one child of a single parent. The deadline to apply is August 1. We will announce the scholarship recipient on August 7. Thank you!